This article applies to TEKLYNX CENTRAL, and explains the problem of the application not starting. The login to TEKLYNX CENTRAL fails. One of the main reasons TEKLYNX Central may not be able to start is that important services required to run the application are not running. 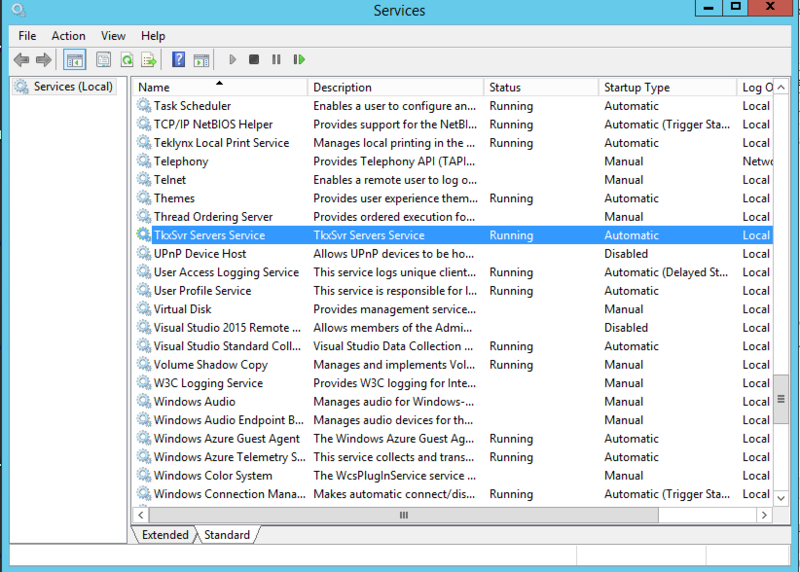 Key service to check: TkxSvr Servers. This services must be running and should be setup to automatically start. If it does not have status of ‘Running’ or ‘Started’, right click and start it. If the problem is related to services not running, see problem article: TEKLYNX CENTRAL Services Not Running – KBA-01110-Z9H9T0 for more detail.